Nitrome’s Rust Bucket (Free) has gotten its second major update, and it brings two new features to the game. 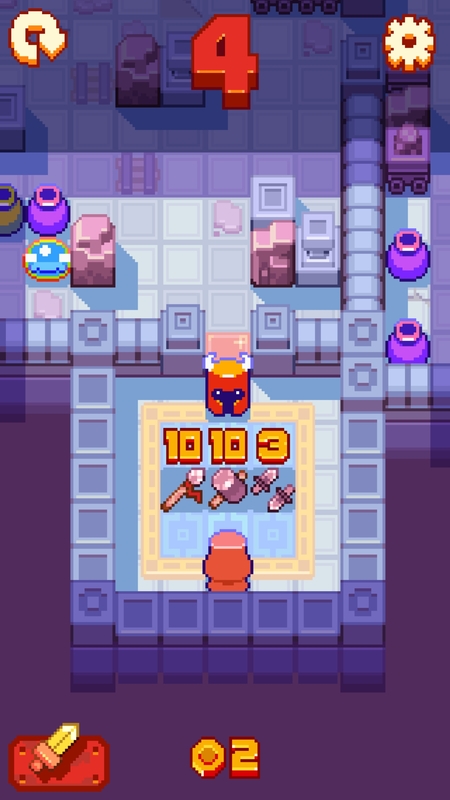 One is that 10 new puzzle levels have been added, bringing the total to 30. If you prefer progression-based games, and the fixed puzzle levels of Rust Bucket present some of the game’s strongest moments, then this should excite you. The other major feature is that weapons can now be bought with coins in endless mode. They have different effects like giving you wider attacks, which can help you as you play, though you have to buy the weapons mid-run. I’m curious as to how experienced players will take to the introduction of weapons in Rust Bucket. After all, they use the gold that has been previously collected, and it does kind of take away from the pure challenge that was part of the original version of the game. But, the leaderboard for people who play without review and now without weapons is still there. You can still enjoy the game without any changes at all, but those new elements are there to play with, and that is sure to anger some players, justified or not. I think the additions are pretty cool, and I’m glad to see Nitrome not resting on their laurels with this game, but I also know gamers and change don’t always go well together.